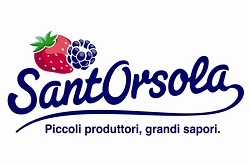 Sant’Orsola Società Cooperativa Agricola (Sant’Orsola) is a Producer Organization specialised in production and marketing of strawberries and various type of berries: raspberries, blackberries, blueberries, red and white currant and late fruiting cherries. Established in 1972 in the Trentino Region (North of Italy), currently it is composed of 950 growers-members. Sant’Orsola produces on a total extension of 450 hectares and in the last few years has enlarged the production area in South Italy in order to extend the production all year around. The total turnover a year is around 48 million €. The main research focus is on breeding programmes of raspberries, evaluation of new genotype on blueberries, blackberries and strawberries, experimental field and plastic house for soilless cultivation and different mineral nutrition recipes. Additionally, Sant’Orsola owns an advisor office that offer technical assistance to the growers. Within the GoodBerry project, Sant’Orsola contributes to several tasks, such as increasing yield by identifying and applying good combinations of genotype and management practice for optimal flower induction, dormancy breaking in strawberry and raspberry in a range of environments, amongst others.